An iconic American fantasy artist, Frank Frazetta is well-known for his work appearing in comics, album covers, book covers, and other media. We offer a range of licensed home decor and collectibles based on and featuring his artwork, including various versions of his Death Dealer, the Huntress, the Destroyer, and the Silver Warrior artworks. 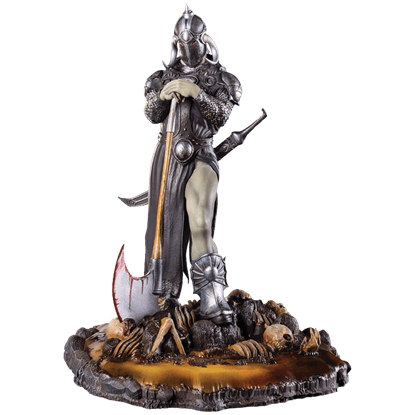 Shop here for everything we have to offer from this remarkable artist, including Frank Frazetta statues, coaster sets, drinkware, lunch boxes, playing cards, magnets, and even collectible decorative weapons and armour based on the appearance of the iconic Death Dealer. 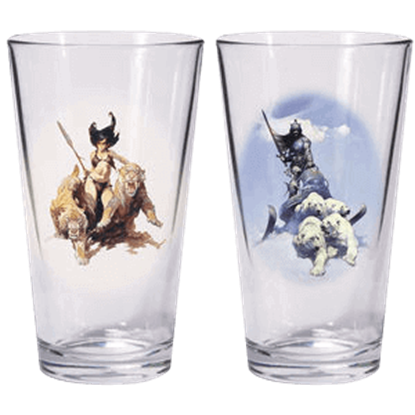 If you admire the fantasy and science fiction works of illustrator, Frank Frazetta, then feasts your eyes on this drinkware. 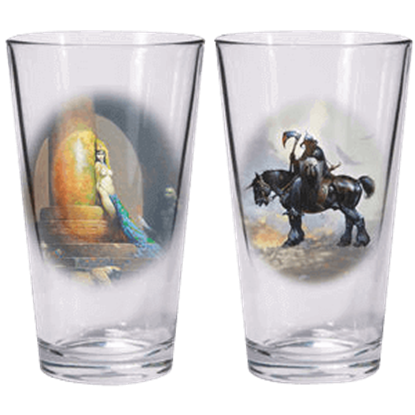 Miniature reproductions of his finest paintings appear on the Death Dealer And Egyptian Queen Glass Set. Bring your best warrior physique to your next game night with this illustrated deck. 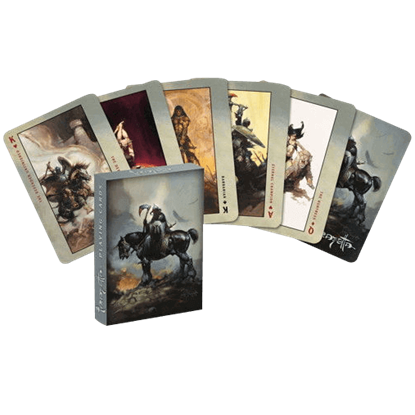 Selected dark fantasy works of art by the late Frank Frazetta are showcased as the face cards and jokers of the Death Dealer Playing Cards set. The Death Dealer is one of the most widely recognized works of art in the realm of dark fantasy. 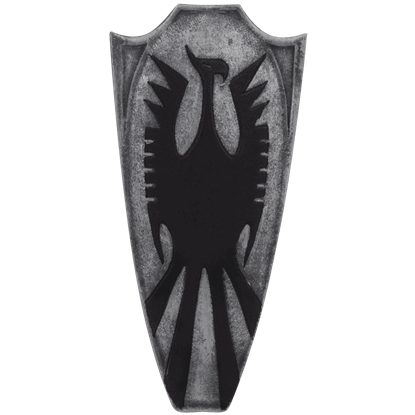 With the new release from Dark Horse Deluxe, you can wear the Death Dealer Shield Pin, produced with the utmost attention to detail. One of the most iconic images of the fantasy genre is Death Dealer by Frank Frazetta. Death Dealer has long been regarded as one of his most powerful and brilliant paintings. 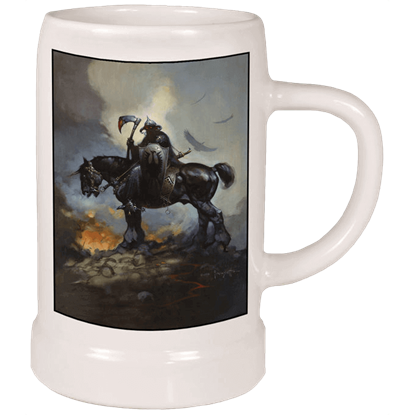 This Death Dealer Tankard showcases the art in brilliant color. A male warrior in horned helmet is shown in the midst of battle, preparing to bring his axe down upon one of his foes. The Destroyer Frazetta Magnet displays this iconic painting by Frank Frazetta in a highly collectible reproduction. A savage bikini-clad female warrior wields her spear while standing between her two snarling saber-toothed cats. 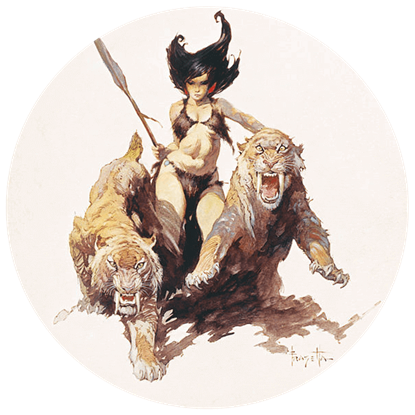 The Huntress Frazetta Magnet displays this iconic painting by Frank Frazetta in a highly collectible reproduction. A career as an illustrator for fantasy and science fiction publications heavily influenced the artwork of Frank Frazetta. Just observe the dynamic and suspenseful scenes presented by the Silver Warrior and The Huntress Glass Set. 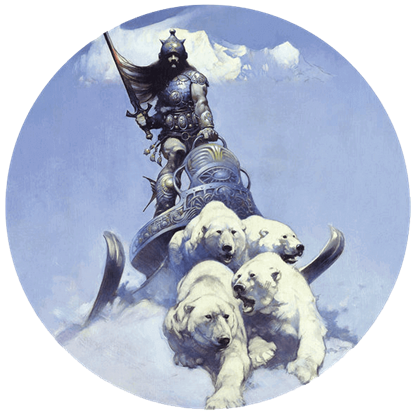 An armored male warrior in a spiked helmet rides an ornately decorated snow sled pulled by four polar bears. The Silver Warrior Frazetta Magnet displays this iconic painting by Frank Frazetta in a highly collectible reproduction. 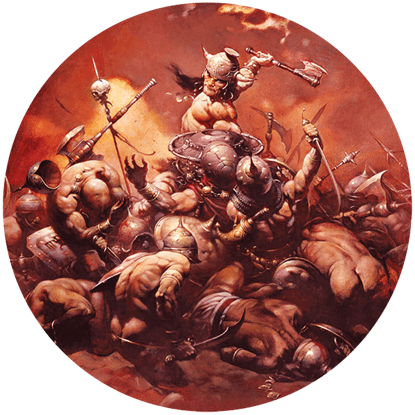 This full-color coaster set features selected images licensed from the estate of one of the finest fantasy artists of our time, the late Frank Frazetta. 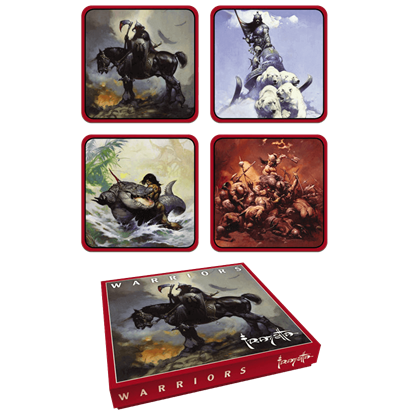 The Warrior Coaster Set features four of his iconic paintings of savage heroes.